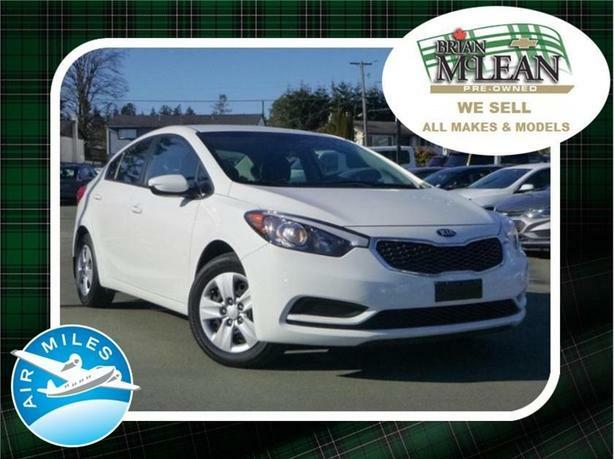 This 2016 Kia Forte is a small sedan offered in the LX trim level. Features includeheated mirrors, full power accessories, a trip computer, a tilt-and-telescoping steering wheel, a height-adjustable driver seat, a 60/40-split folding rear seat, Bluetooth phone and audio connectivity and a four-speaker sound system with a CD player, satellite radio, a USB port and an auxiliary audio jack. Powering this Kia is a1.8-liter four-cylinder engine making 145 horsepower and 130 pound-feet of torque. Power runs to the front wheels through a six-speed manual.Every 2016 Kia Forte comes standard with antilock disc brakes, traction and stability control, front side airbags and side curtain airbags.Government crash tests of the 2016 Forte sedan saw it earn a five-star rating (out of five) , with four stars for overall frontal-impact protection and five stars for overall side-impact protection. ***This vehicle qualifies for our Certified Pre-Owned Program. It includes a 150+ point inspection, a 3 month/5,000km warranty or the balance of the manufacturers warranty, a one-time 30-day or 2,500km exchange privilege, and 24-hour Roadside Assistance. This Program includes all makes and models, it is the #1 Pre-Owned Vehicle Program in Canada*** For Sale at our Brian McLean Chevrolet Buick GMC store located in Courtenay, BC. Please contact us for finance/purchase options and further details. Trade-ins welcome. ** Serving communities on Vancouver Island for over 30 years, Namaimo, Parksville, Qualicum, Duncan, Victoria and many customers on the mainland in Vancouver and as far as Kelowna. Ask about our travel assistance for out of town buyers!! !